What is it and why should families care? When Congress added Part C to IDEA -the early intervention section of the Individuals with Disabilities Education Act (IDEA)—it added a special section. Congress required that every state set up an Interagency Coordinating Council (ICC) to advise and assist the lead agency. In New York the lead agency is the NYS Department of Health through its Bureau of Early Intervention (BEI). In New York we call our ICC, the Early Intervention Coordinating Council or EICC. Representatives of parents enrolled in the early intervention program. In New York, the Early Intervention Coordination Council (EICC) is a 30-member advisory council established in Section 2553 of the Public Health Law. The EICC assists the New York State Department of Health with the administration of the Early Intervention Program and makes recommendations to the Department regarding appropriate services for infants and toddlers with disabilities and their families. There can be up to 8 parent members on the EICC. What does the EICC do? The EICC's job is to advise and assist the lead agency ( BEI). The EICC does not set policy. The EICC reviews data and guidelines. Individual members share their experiences and views with the rest of the Council and BEI. The EICC discusses current policies and future policy changes. In the end decisions are made by BEI. What does each member bring to the EICC? Each member of the EICC brings their own views based on their role in the Early Intervention Program. For example, the representative for the office that oversees childcare centers knows about rules in that agency that make providing early intervention services in childcare centers easier. Families bring their experiences with their child and early intervention to the EICC. The parent members help to represent thousands of children and their families enrolled in the early intervention program. Those families might live in rural parts of the state, or the suburbs or the city! They may be families new to the U.S. and just learning English, raising a child with Down syndrome, or Autism or a speech delay. They may be raising a child they have adopted or a child in foster care. Family representatives on the EICC use a number of ways to hear from other families enrolled in early intervention. Parent members of the EICC often belong to parent advocacy organizations, like the National Down Syndrome Society, Parent-to-Parent or Autism Speaks. 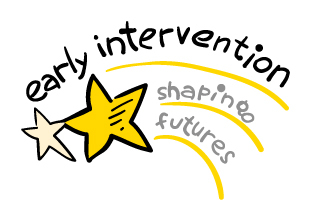 They may work as professionals in early intervention, providing early intervention services or trainings to families enrolled in the early intervention program. Sharing your story with the family representatives, other representatives on the EICC or the Bureau of Early Intervention can help the EICC to identify challenges and successes.